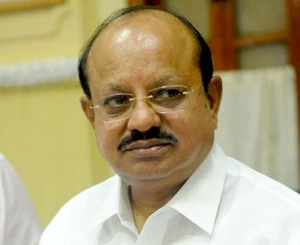 Udupi, June 21, 2015: In a media briefing Law Minister T B Jayachandra said the government planned to develop major temples across the State in the next two years. Mookambika temple at Kollur in Kundapur taluk, Udupi district is all set to get a dining hall in the temple constructed at a cost of Rs 21 crore. Administrative approval has been given for a permanent drinking water scheme for Kollur town at a cost of Rs 24.67 crore. Chief Minister Siddaramaiah, who also holds the Finance portfolio, had announced in the budget proposals 2015-16 that the government would be implementing the ’Bruhat Devalaya Poornabhivruddhi Yojane’ for the overall development of big temples, including Kollur Mookambika temple, Kukke Subrahmanya Swamy temple in Dakshina Kannada, Chamundeshwari temple and Srikanteshwara temple of Nanjangudu, Mysuru; Ganagapura Dattatreya temple, Kalaburagi and Savadatti Renuka Yellamma temple in Belagavi at a cost of Rs 400 crore in the next two years.